We really should say something about ourselves, shouldn’t we? Hi, my name is Karsten Wade, I’ve worked at Red Hat since 2001 and am a 21 year IT industry professional. I am a long time Fedora Project contributor and general open source iconoclast. I am also a CentOS Project board member. As a member of the industry leading community leadership team at Red Hat, I have seen, done, and recovered from many open community mistakes. Through mistakes, learning; through learning, advancement. By teaching and learning with others, we improve the fabric of all open source communities. 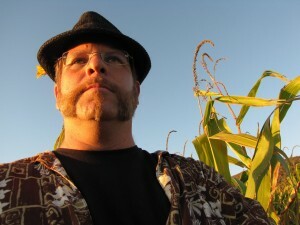 I live in Santa Cruz, CA, with my wife and two daughters on a small urban farm, Fairy-TaleFarm.com. We have an alternate transportation business, Santa Cruz Pedicab. Find me at Fairy-Tale Farm, Twitter, GitHub, Linked In, Facebook,identi.ca, Flickr, YouTube … bored of this yet? Teaching Open Source education community. Practical Open Source Software Exploration textbook. Professors Open Source Summer Experience (POSSE) workshop. Internship and workshop program for Fairy-Tale Farm. Field to Table Summit, Santa Cruz, Spring 2011? Composting for India Joze restaurant. Santa Cruz City Technology Task Force. Here is a random list of what I worked on in the past, dead or alive. Fedora Documentation Project team lead. Red Hat SELinux Guide for Red Hat Enterprise Linux 5.